With those goals one of the greatest courses in the world immediately came to mind as a model – The Old Course at St. Andrews. We not only set out to build a world class course with similar playing characteristics, others often try, we actually did build one and succeeded categorically. At almost every turn the industry was in divergence with our goals – we pushed back on the envelope in every manner. From irrigation to grass selections through maintenance there wasn’t a single item that we didn’t question for efficiency, and Wolf Point Club is proof just how successful this type of project can turn out. We now have an entirely new set of constraints to work with that has proven results that no one has tried before. I say no one because while we did push backwards in many regards we also pushed forward in several others. GPS technology was integral to the design, construction and maintenance of the entire project. We created a detailed set of plans that were incorporated into a hand held GPS until that was utilized in the field to map out the entire course with extreme precision. There wasn’t a single site visit that we didn’t utilize GPS. Throughout the entire construction phase in field design improvements were recorded with the same GPS unit and the data was brought back to the office to quickly adapt the remaining infrastructure– primarily drainage and irrigation. This was an iterative process whereby the overall design was refined every one of the many site visits. I have spent considerable time developing my plan creation methodology using a vector-based illustration program. Whatever I draw is instantly digital. Having used this program for more than a decade, I find it to be far more efficient than CAD and hand drawing. For my own work, I use two large flat panel monitors and a large pen tablet ideally suited for drawing free form contour lines. For me, Illustrator is ideally suited for preliminary and conceptual routings working on top of aerial images, including working with site constraints. Some of these tasks can be automated using a more rigid CAD program, but to me, creativity is most important at these stages and drawing freehand allows for the most inventiveness. 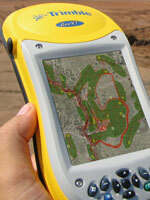 Data is easily transferred to and from CAD and also a hand held GPS unit. The irrigation system is another example of how we utilized the latest technology to great effect. The irrigation system, weather station and pump station are integrated into the central control system. We have a hand held palm computer that manages the irrigation system and can be used in the field to adjust one of the numerous programs designed to economically water the course. Our superintendent also visually checks the course for water requirements. 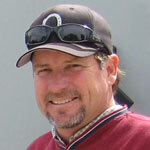 Irrigation is typically the costliest component of a golf course. There are recent industry examples of courses installing 4,000 rotor systems, with part circles and sharp delineated lines of play between the greens, fairway, roughs and native areas. 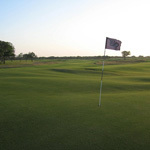 We chose to use all full circles and have the course blend into the surrounding areas organically. Our construction methods allowed for uniform water requirements throughout the playing surface thus needing only 750 rotors with a larger radial throw. Another irrigation difference was the use of a decoder system. The decoder is widely used throughout Europe but it is rare in the US, primarily because of a lack of installation experience. Once installed the Decoder’s central control system is identical to that of a satellite system. The key differences is the decoder system is more easily expanded, requires less wire and lower power requirements – which leads to safer installations and repairs. The other key difference is that there are no above ground satellites marring the landscape and exposed to the elements and failure. Recently a hurricane destroyed every single satellite on a brand new course – decoders are hermetically sealed and safe from insects and water damage. Superintendent Don Mahaffey, with significant construction, irrigation and grow-in experience, was brought to the team to lead the project on the ground before we started construction. He was integral throughout the entire process. And his practical management philosophies help make the course better in every way, and he became an accelerant in many areas as it pertained to the design. Design, construction and maintenance have to work together from the beginning to have the course be as good as possible. The worst examples are courses that require changes immediately after the architect leaves to bring the maintenance budget to a reasonable level. He was also chosen for his architectural awareness and preferences. The Old Course is one of his favorites as well. He also has integrated the noteworthy philosophies of Jim Arthur, a 60 year superintendent throughout the U.K. and Europe and the author of “Practical Greenkeeping” - the seminal work for superintendents who maintain a golf course with playability as the primary goal. With our clients encouragement we built the golf course in house. 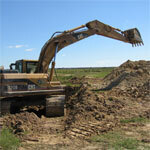 A significant cost is clearing for which we utilized our client’s heavy equipment crews. Our client even helped to clear as he is an expert back hoe operator. We used GPS to map the specimen trees and mark clearing lines. Often there is a rush to clear, and working at our best pace enabled us to search for every possible specimen tree that would enhance the course. We hired a team of farmers, armed with 4 scrapers, between harvests to excavate the lake. 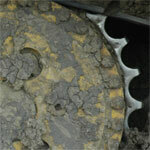 We managed the cut and fill requirements through the use of GPS and staking. 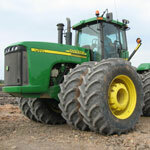 The farmers filled in the areas one foot at a time like a wedding cake. 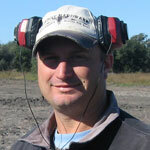 We hired an irrigation contractor to install drainage and irrigation. We were responsible for staking all the heads, again through the use of GPS. Every trench was mapped while open so our as-built plan is as accurate as possible. We brought an excellent shaper on site for six months and we hired a bridge contractor. Our finishing and detail crew was assembled from the local labor pool and trained for our needs. Today because of our excellent superintendent they have transitioned to a first class maintenance crew. There were no areas of the property ignored. Often the contractor’s role is the golf boundary and the maintenance crew is left to try and clean up the perimeter. We had the advantage of being responsible for everything, so when it was most effective, we prepared the perimeter of the golf course by clearing and keeping it dry. This facilitates future maintenance conditions through better air flow and pest control. It also improves the aesthetics and playability of the golf course. Every area we disturbed was naturally tied back in to the native environment. We built the greens out of native sands designed with surface drainage as our primary means of drainage and minimal use of sub-surface drainage. 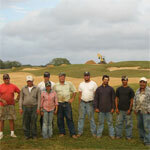 The construction sands came from on site and saved the expense of trucking USGA spec sand from the nearest vendor. This was a substantial savings. Please see the following page for additional green philosophy notes. We sprigged and chose our grasses based on maintenance regimens. In a hot and humid environment Bermuda grass is almost the only choice. We did choose to use a specialized dwarf Bermuda for the greens. This grass agronomically performs significantly better than the modern ultra-dwarfs as they grow much deeper roots and are substantially more drought tolerant. We also grassed the surrounds with the same green grass to blend the transition (look closely at this picture to see the transition that occurs outside the green) from fairway to green and to have consistent maintenance requirements. The green speeds can be maintained at between a 9 and 10 easily with rolling, cutting and appropriate applications of growth regulators. We let the native areas come back naturally without irrigation. Typically irrigation is installed to establish the perimeter and then abandoned after grow-in. Using the irrigated method causes the grow-to be thicker than the native environment and is a continual maintenance battle to thin out. 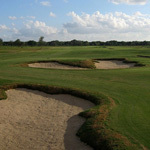 The playability goals were to create as unique a set of 18 holes as possible while maintaining a cohesive style throughout the round. 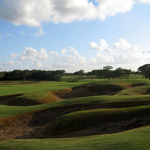 There were two distinct areas – the ranch and creek – and the routing passes back and forth between each environment multiple times with the intent to not create two distinct nine hole “courses”. 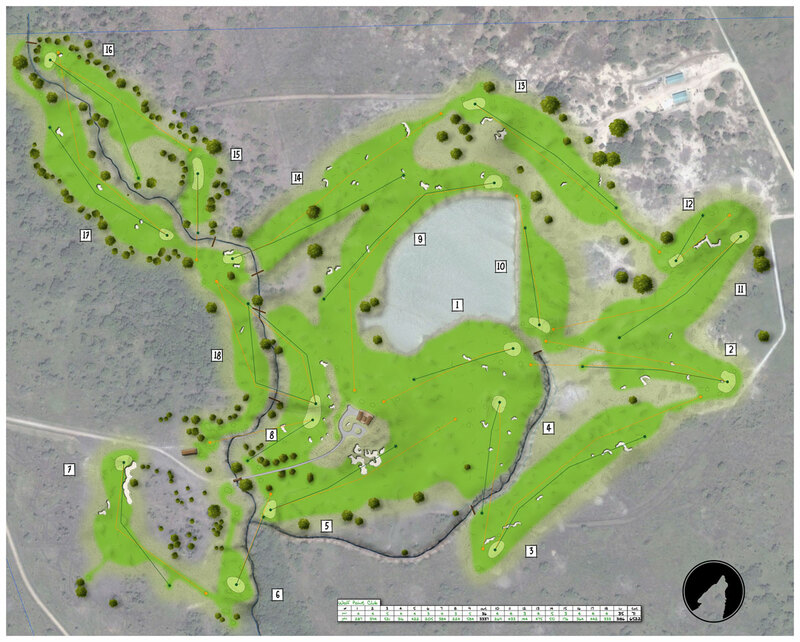 And it is the holes (5 & 14 most importantly)that transition the ranch to the creek area that are critical to seamless environment changes. With our client planning on playing every single day we had to keep the holes varied and each and every hole and consecutive hole changes subtly and or significantly in direction, length and strategy. 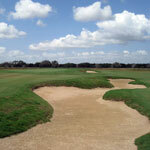 Bunkers are very expensive to maintain, often times ¼ to ½ of the budget is dedicated to bunkers. We created these hazards both small and large, sometimes penalizing and always strategic in nature. 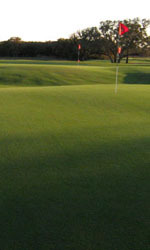 The tees are designed to play as close to the preceding green as possible. They are small and blend into the natural surrounds. It is this element that leads to an easily walked course. Because of the limited amount of play it was decided to not use any cart paths on the course. The result is the easiest walking course I have seen built in the last 50 years, and it presents the golfer with a truly immersive experience – as opposed to driving from green to tee multiple times. The other benefit of short green to tee walks is faster play.